Posted December 13th, 2018 by Charles Morris & filed under Newswire, The Infrastructure. Posted October 23rd, 2018 by Charles Morris & filed under Newswire, The Infrastructure. 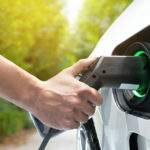 Posted October 14th, 2018 by Charged EVs & filed under Newswire, Sponsored Content, The Infrastructure. Posted April 20th, 2018 by Charles Morris & filed under Newswire, The Infrastructure.